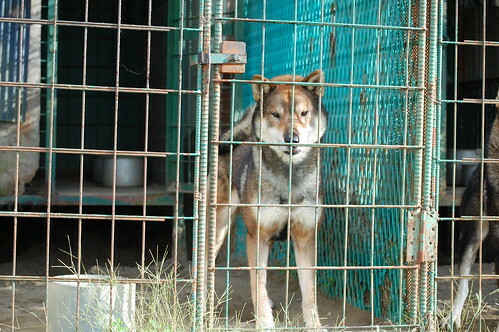 I took a few more pictures of Shikoku Ken yesterday, so I figure I'll post them here. A very light colored female. 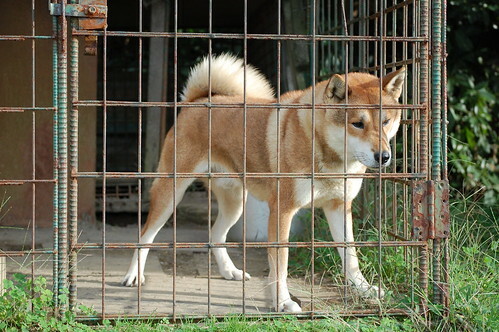 This is not a preferred color in the breed, the color in her coat is very diluted. She's not been bred or homed because of it. 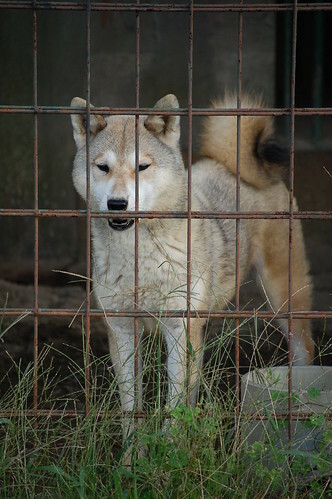 I just wanted to post the picture as an example of a very light colored Shikoku. 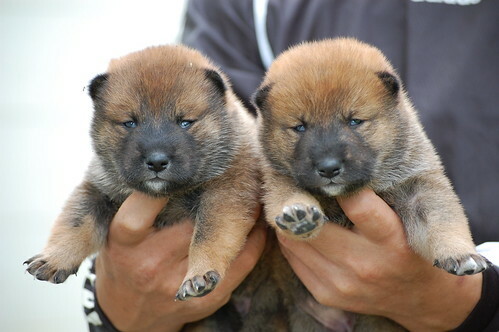 Kuro-goma male, littermate to Koto, my friend's prize winning aka (red) Shikoku male. He has nice coloration, but is a little weak in his hindquarters. He was the runt of the litter, and has not been bred or homed either. I have a better picture of him, but I posted this one for fun for the facial expression. 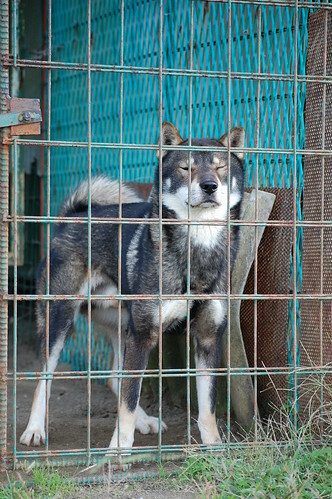 This is the sire of the above kuro-goma (black sesame) male. Another stud male, an aka. Two pups sired by the above aka male. 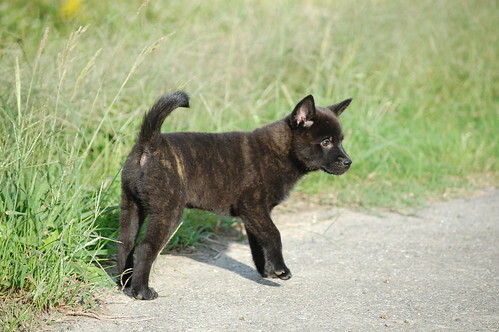 This is the replacement for the female kuro-tora (black brindle) Kai pup. Lastly, I hate how blogspot cuts off the right side of all my pictures. Anyone know of a fix for this glitch? Oh me gee I want that kai puppy! As for blogger, you can update to a new template and with the new templates you can choose the width of your blog to make it larger than this template. My way, as I don't prefer to call this a trick, is to work under the HTML tab and size the width of all your horizontal pictures to 375 and delete each instance of height. With vertical pictures, I always enter 375 for the height and delete the width. I center all of my pictures also. This works on my template that I imported from another website, but playing around in Preview mode should tell you more or less what cuts off on yours, whichever template you decide to use. It's the same for videos that I pull in from YouTube. 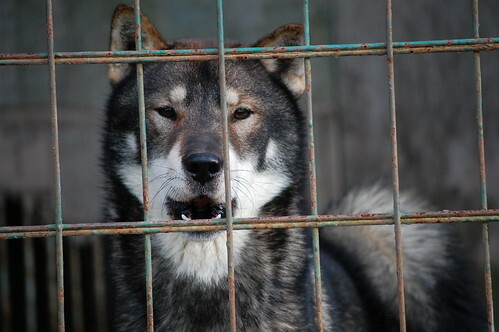 I dunno why but I really really like that light colored shikoku. Maybe cause it kinda reminds me of my favorit of all time, Yushoku Kishu. I wish I was back there, I will be back next summer. Any events going on in august? @Gen not much going on during the summer, too hot for dog events.